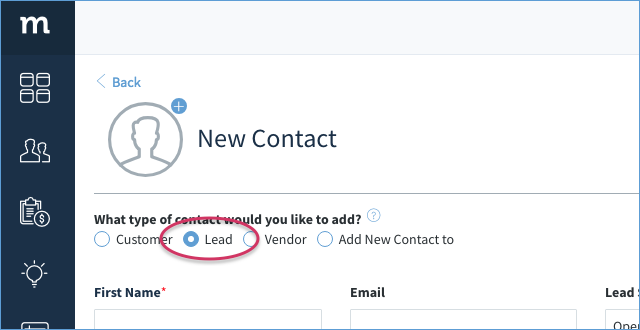 You can create Leads in the Contacts App. Remember, a lead is a potential customer. Therefore, leads are not synced to QuickBooks until the lead is converted to a customer. 2. This opens a New Contact screen. 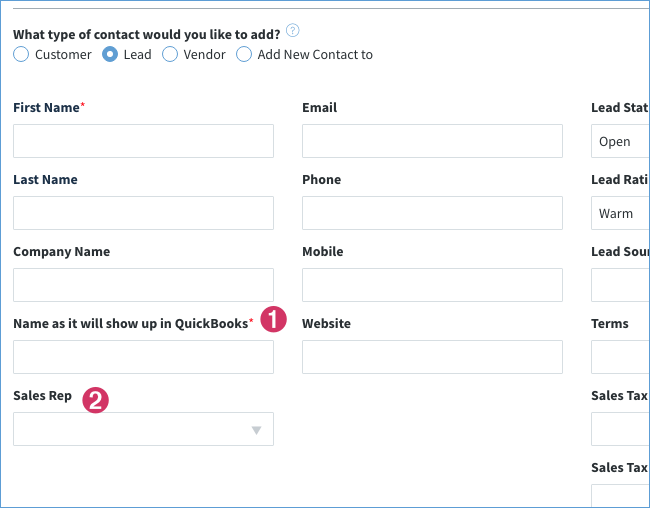 Make sure the Lead option is selected under type of contact you wish to add. Filling out the rest of the details should be intuitive, however, there are a few fields we can clarify. 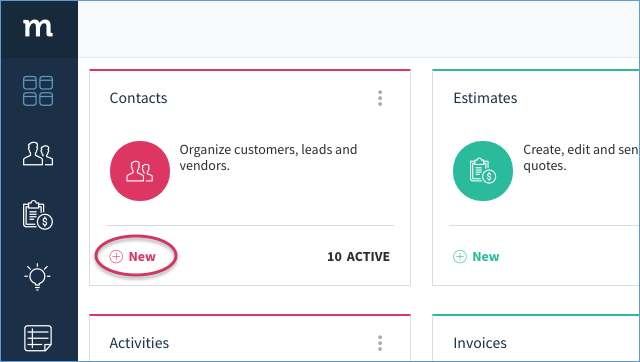 Name as it will show up in QuickBooks*: If and when this lead is converted, this will be the name it shows up under when looking through your customer list. Assigned To (Internal Rep) (QuickBooks Online only): Method User the lead will be assigned to. Sales Rep (QuickBooks Desktop only): This is the Sales Rep the lead will be assigned to. Click Save to save the contact and customer lead, or Save & New to save and then clear the screen for a new entry. You've successfully created a new lead with an associated contact!